Check out results/race report of Kuurne-Brussels-Kuurne 2018, or read about the route and the start list. Kuurne-Brussels-Kuurne amounts to 200 kilometres and takes in twelve climbs, although the last 50 kilometres are played out on the flat. The race, which is held in chilly and windy conditions, boils down to a bunch sprint with Dylan Groenwegen outpowering the pack. Arnaud Démare and Sonny Colbrelli round out the podium. 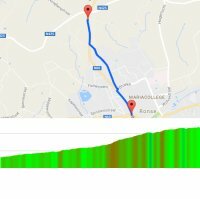 Sunday, 25 February 2018 - The route of Kuurne-Brussel-Kuurne is almost the same as last year's. The 200.1 kilometres route features twelve Flemish 'hellingen', but the finale is played out on the flat. The last hill is Nokereberg, which is crested with 49.8 kilometres out. The likes of Greg Van Avermaet, Arnaud Démare, Fernando Gaviria, Magnus Cort, Matteo Trentin and former winner Jasper Stuyven go head-to head in the concluding race of the Flemish Opening Weekend. Cyclingstage.com brings you the start list of Kuurne-Brussels-Kuurne's 2018 edition. Often, Kuurne-Brussels-Kuurne comes down to a sprint of a select group. The route amounts to 200.1 kilometres and takes in twelve Flemish 'hellingen', so it will be a race for the tougher among the fast men. Who are the major contenders in Kuurne-Brussels-Kuurne 2018?